In this interview I sit down with the phenomenal Verdine White, bassist with soul & disco legends Earth, Wind & Fire. With the funkiest basslines (and the grooviest clothes), Earth, Wind & Fire are one of the most successful bands of all time. With album sales of well over 90 million and several Grammy wins, they created milestone songs like Fantasy and Serpentine Fire, monster hits like Boogie Wonderland and the big production ballad After the Love Has Gone. 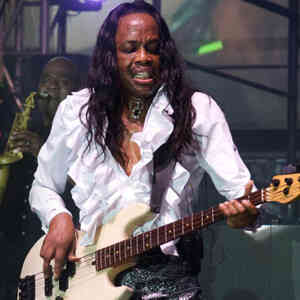 Both a born showman and a serious musician, Verdine White has been the band’s one and only bassist for 48 years! I caught Verdine during a recent tour of the UK for an EWF update. All about Verdine’s early years with the Chicago Symphony Orchestra. What it was like moving to LA and joining Earth, Wind & Fire. How Motown helped create his signature style. All about his signature Sadowsky bass. Why there’s no excuse for not studying.